I have a Memory of using Infrared Port in my Sony Ericsson Z520i device to transfer files. Did you know, they have selfie option too. Files transactions have become much more comfortable over the years that it used to be. Now, it is possible to transfer files with large sizes from one device to another swift and easy. Well, I remember when there was just Bluetooth and infrared been used to transfer data between devices and these were trying times. You can’t possibly transfer files worth one gigabyte using these platforms; it will probably take days to complete because the transfer medium is quite a slow one. But that is a different case when it comes to the transfer of files nowadays. 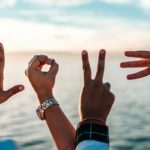 How did this Sharing apps work? The jobs of this app are to create a medium whereby files will be transferred from one device to another at a rapid rate. If the apps do not move files very quickly, then a lot of people will be looking somewhere else for something that can give them that speed and ease when transferring data. 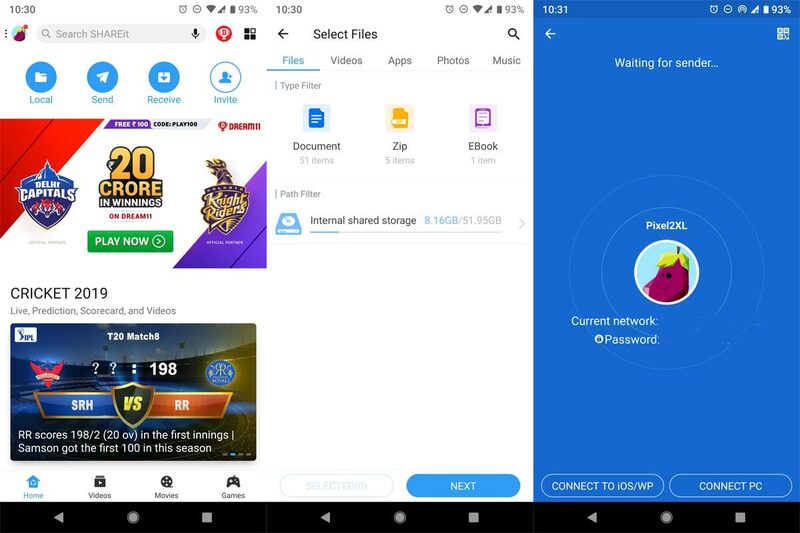 These apps make use of WI-FI and tethering hotspot to create a connection between the two and more devices that are to be used in the transfer process, when there is a connection between them, you can transfers as many files as they want and they do not have to be concerned about the size all you need to do is make sure that there sufficient space on the devices involved in the transfer. Once you do this on your part, then you can leave the rest of the work to the apps because I know nothing apart from sufficient space can stop the transfer of files when using these apps. These three above listed apps are the best sharing apps that have been tested and trusted to do their jobs effectively. I will be giving you some reviews about these apps and show you how their performance is from the tests that have been carried out on them. It is No.1 app for sharing and downloaded by most of the users in Play Store. Shareit is a technology company known as Shareit information Technology Co., Ltd. It was created in April that can be used to transfer the following; photos, videos, music, contacts, apps, and any file. This file comes with excellent transfer speed that allows you to move large size files from one location to another within seconds. This app is handy and is capable of performing other purposes apart from transferring files between devices, functions like playing music and videos, viewing images and GIFs, online and offline song discovery and so on. You can also transfer data to your PC If they are in the same Wi-Fi connection. This app used to be excellent, but since I updated the version I was using, many issues started to come up. The manufacturers need to stop including unnecessary features in the app that are not necessary. These features slow down the function of the app and make it hard to use. The ads that do pop up unnecessarily are very annoying and time wasting, you will want to tap on a file and then boom! Something will pop up on the screen of your phone talking about another app or something. These pop-ups make the app very slow while in use and not user-friendly. 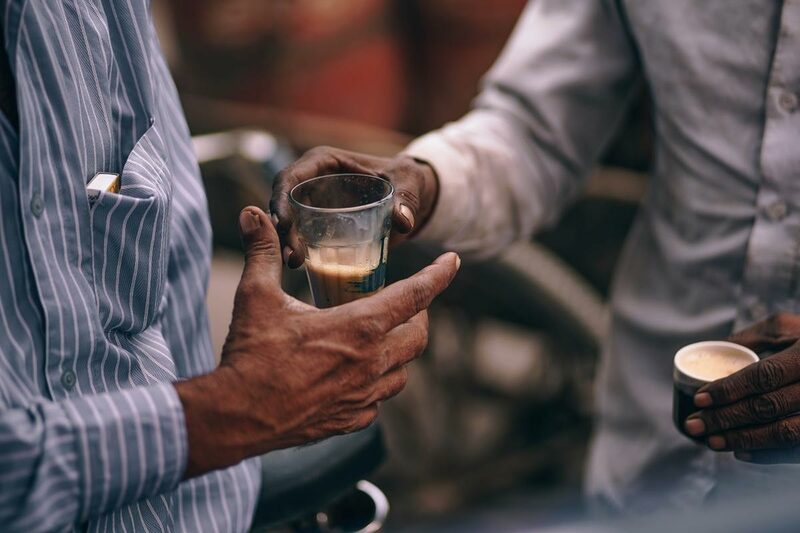 The app is good for its sharing job; it can share anything you can imagine once you establish a reasonable connection between devices in question. The xender app is top-rated among mobile devices users and pc users all over the world. It is known for its high speed and credibility when transferring files between two or more devices. I started making use of xender from the very first day I began to use an android phone; I used it to transfer practically anything I needed from another device, things like music, videos, documents, games, pictures and so on. The transfers were speedy and, it sometimes runs at 30MB per second, and it can even go higher than that when transferring files. I also use the app to play music and different videos, it is merely a straight forward multipurpose app. I make use of QR code scanning to create a connection between two devices, mostly in PC though because the standard form of relationship between two mobile devices is through the use of a Wi-fi connection. You will use the camera on your phone to scan the QR code on another device; this is an advanced technological process. 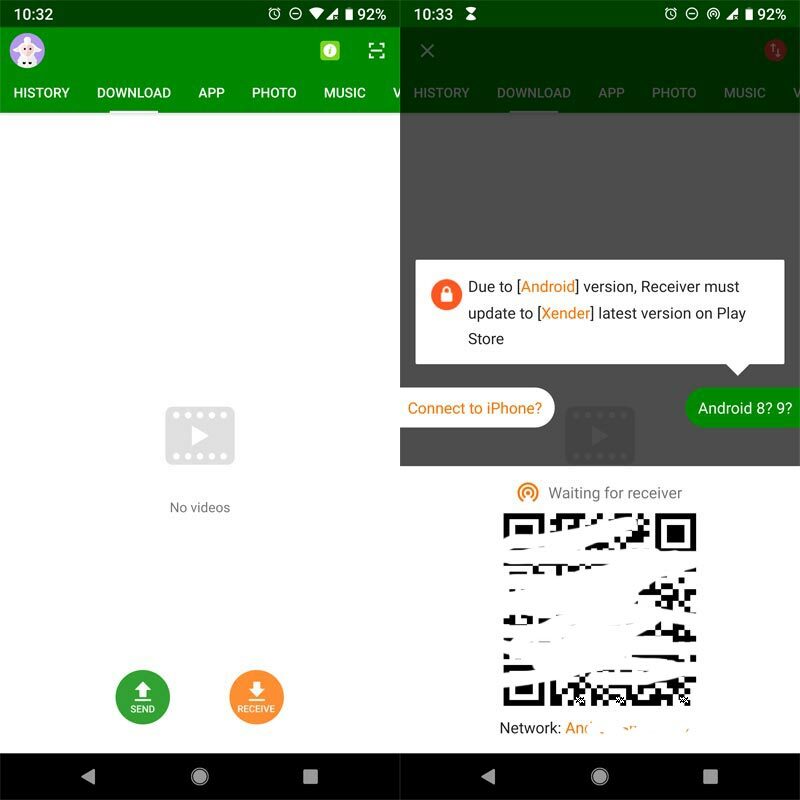 Once the xender can capture the QR code on the other device, a connection will be established. The previous problem I encountered with this app was the numerous ads that will be popping whenever I am making use of it, and this made the process very annoying because it will become slow and your phone will start hanging. This discouraged a lot of people from using it including me, but since the update that was done on it to remove all ads, the app has become more friendly to our devices than earlier. Also sometimes the app will fail to create a connection between two mobile phones, you need to understand that these are glitches in software that are bound to happen during its use, it is something that can be avoided. This is why you would be provided with updates regularly to help fix these glitches. 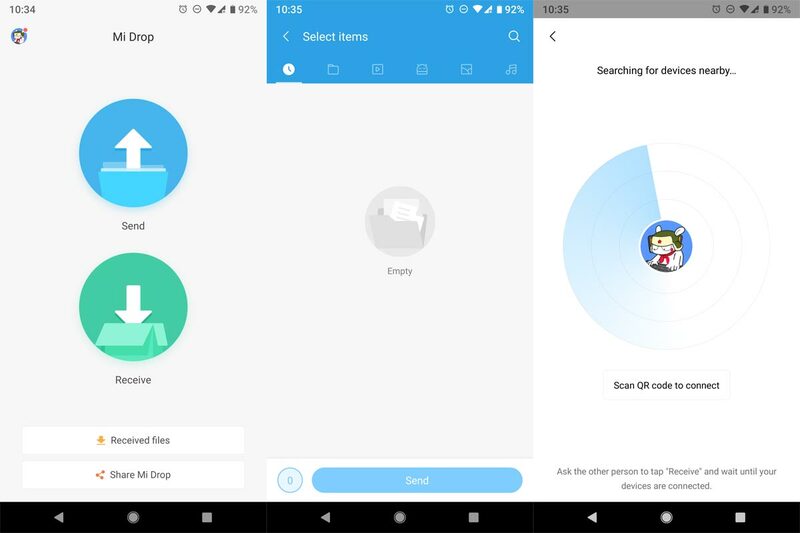 Mi- drop is a file transfer app that was developed by Xiaomi in MIUI 7. Also equipped with incredible transfer speed and is compatible with all devices. You can share any file on this app ranging from images to documents that are as low as 4KB in size. There are no limitations to the size of the file you want to send to the other device and you are also able to resume transfer that didn’t complete in the sense that whenever there is a break in connection and a transfer was in process and didn’t perfect, you can resume from where it stopped and finish the transfer. I encountered an issue when making use of the app, although it is rapid when transferring files to another device sometimes up to 50 MB/s but sometimes it can turn out to be very slow and annoying to the extent that you will feel as if you are sending the file with Bluetooth and not a file sharing app that is meant to be quick. The only glitch you might encounter sometimes is during connectivity, the app can sometimes just not want to connect with the device you want to share something with, it is normal for such to happen I recommend you restart your phone in order to calm the processor and try it again, that should do the trick I guess. This is an adorable app and apart from a few glitches, be rest assured that your file transfers are safe and of good quality. Yes. 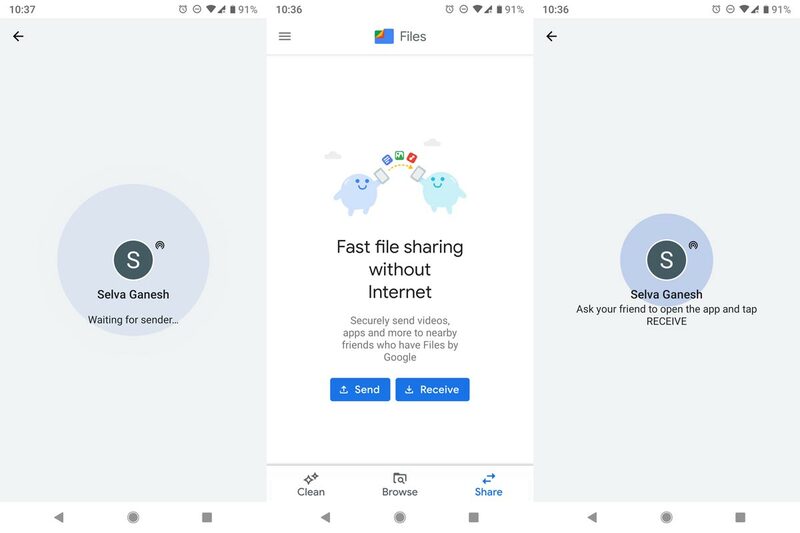 Google Files app have Share Feature. It is AD-Free and Super Secure. If you Prefer Files Manager With share option, it is the best app for you. Other apps Annoy us with a lot of unwanted features. But this app has Super Clean UI. Speed is also Great. Each app has it’s unique features. If you want to share files between mobiles, I recommend Files By Google. 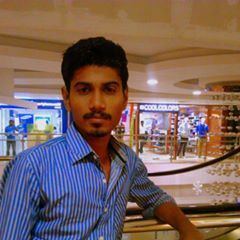 In some situations, you want to Share it with PC, use SHAREit. If you use any Apps beyond this list, that works well, Comment below. Don’t download apps from third-party sites, that you don’t trust. Download from Play Store.